City Living Realty Inc. has brought together the vast experience of both Ivonne and Rafael Heredia. This husband and wife team have over 30 years of experience in Real Estate. Knowledge, negotiating skills and years of proven experience is evident on the unparalleled service that they offer. Here is some information about them. Since 1996, Ivonne has been a Florida licensed Real Estate Broker / Loan Officer and established her own brokerage in 2002. She operated her business until 2010, when she then joined Neighborhood Housing Services of South Florida, to help others grow in the field with her vast experience and knowledge in the field of First Time Home Ownership. 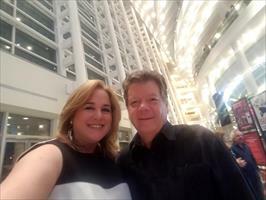 Her desire to help the community at large is what led her to be a part of a non-profit organization that offers assistance to first-time home buyers, from finding a home to orienting them to find several down payment assistance programs. She is also a Mortgage Loan Office assisting with her knowledge many buyers achieve their dreams of home ownership. Ivonne is a “Panther”; a proud member of the alumni family of Florida International University whose major was Finance and Management. Most recently in 2015 she returned to FIU to obtain a Master’s of Science in International Real Estate. Being a Panther runs in her family as both her children are working on their bachelor’s degree from FIU as well. Rafael Heredia is a Navy Veteran and Florida Licensed Real Estate Associate for over 30 years. He is bilingual in English and Spanish, and has made South Florida his home for more than 40 years. Working in the South Florida area for so many years has provided him the experience and knowledge to navigate the real estate and home construction markets with great success. 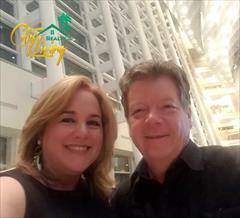 In addition to their professional work, Rafael and Ivonne have been married for 30 years and have two children, all of whom work and study in the greater Miami Area. We'd love to be your REALTOR®! We love this area we call home. So much, that it drives us everyday to work hard for those finding their new home or selling their own here. These are our neighbors. We'd be thrilled to have the opportunity to do the same for you. Please contact us for anything real estate you need!